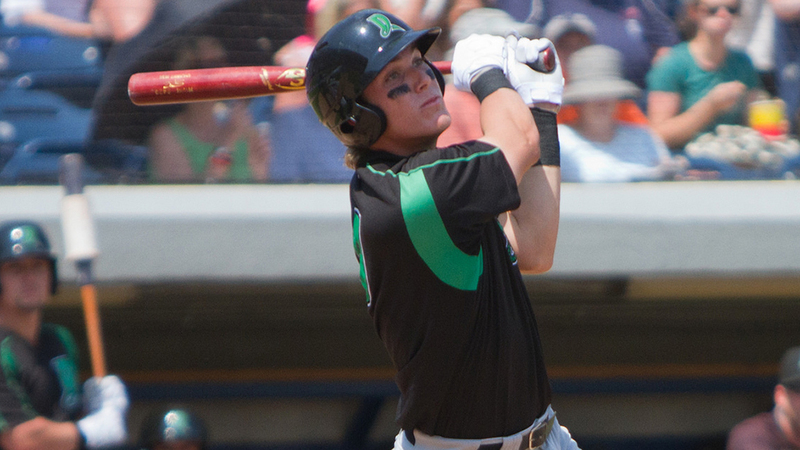 Tyler Stephenson made the Midwest League All-Star team and was enjoying a strong start to the second half after an injury-plagued 2016 season. Unfortunately for the Reds' No. 6 prospect, another injury has halted his momentum. Before Wednesday's game against Peoria, Class A Dayton manager Luis Bolivar said that Stephenson has a torn ligament in his right thumb and will miss the rest of the season. The 20-year-old catcher is no stranger to the disabled list, spending four separate stints on it last season -- the final three due to a left wrist injury. After posting a .216/.278/.324 slash line over 39 games with the Dragons in 2016, Stephenson batted .302/.394/.477 with 23 RBIs in his first 23 games this year. "It's just a different mind-set," Stephenson told MiLB.com in early May. "I'm positive about everything going on and I'm confident and just having fun. I know at times last year it was hard to get in a groove and everything just because I'm on the DL and then next thing you know I'm off the DL. "I was fighting that all year. It's hard mentally to do that, being on and off all the time. This year, I'm healthy, confident and I'm having fun." The 11th overall pick in the 2015 Draft hit .269/.367/.386 with four homers and 40 RBIs in 60 games during the first half to earn his All-Star nod, and his .306/.393/.500 line with two homers, 10 RBIs and 12 runs scored through 20 second-half contests was even more impressive. He had three multi-hit games along with six walks against five strikeouts in his last eight games, and 10 of his 28 extra-base hits had come since the recess.